With the previous advancements of the compression of computerized audio files for easier transmission made by web pirates in the 80s, technology pioneer, Carl Malmud, founded the first internet radio station in 1993. With no other competition, it was simply called “Internet Talk Radio”. It was mostly comprised of entertaining interviews with key players of the science and technology industry. Since then, the growth of internet broadcasting has snowballed into the 21st century after a few musical concerts were broadcast live and music shook loose of its traditional radio roots and became “streamable”. When internet broadcasters once needed their own servers and platforms, 365live.com changed the game, and newer, better technologies have emerged to offer anyone the opportunity to broadcast in a community. Now, this technology can be used on devices smaller than some wrist watches, such as on iPods and on smartphones. 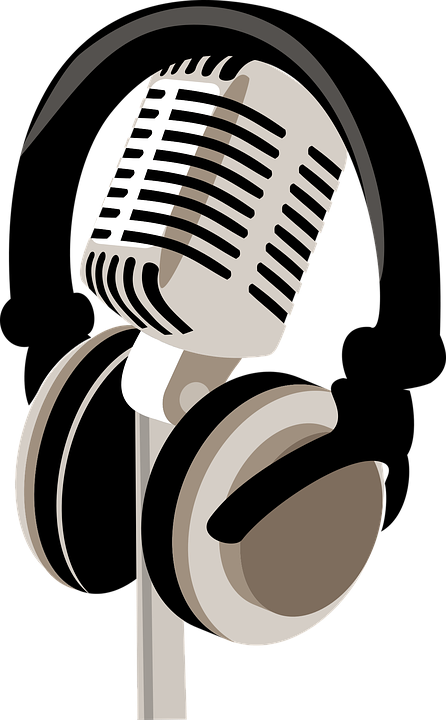 Apps such as Spotify, Apple Music, Google Music, and Pandora are among streaming music favorites and Slacker.com and Internet-radio.com for talk radio. Why Does This Technology Matter So Much? For a long period in radio’s history, you were told you could expect little change in the technology and the way the consumer used it. The 21st century had other plans. When once you had little choice of what you listened to and when, you now can completely tailor your listening experience. What, how, and when are all now within your control. You can support that which you personally believe in, rather than what agenda and advertising are being targeted at you. You can more closely engage with people you look up to and communities you want to join. It can be used as a tool to quickly transform your own mindset and life altogether. Not only do listeners stand to gain, but broadcasters just as easily reach their “tribe”, too. Business owners who choose to sponsor internet radio stations are also equally rewarded by being able to target such a specific audience with ads, guest spots, or shows of their own. If they are only advertising with traditional radio stations, they are in for a slim return because it only takes this 30-page report by Larry Miller of New York University’s Steinhart Music Business Program to understand that emerging listeners have no interest in technologies of the past. Relationships and paid sponsorships are often the life force of an internet radio station or show. It is imperative for a radio personality to engage with his listeners on and off the show, fully understand their desires, and deliver what he or she knows they will love to consume by partnering with desirable businesses through sponsorship! For the business owner who already understands the value of advertising on an internet radio show, the partnership is an easy one to close on. Just a few of the benefits of advertising on internet radio include targeting a highly matched-to-their-product audience, a more “colorful” platform to raise engagement on, and a low cost compared to other major forms of media today. For those new to your pitch, consider the following. Too many make the mistake of pitching advertising on their show or station prior to gaining the prospect’s interest in the foundation of their show. A soft opening to a pitch would be to introduce yourself and what the show is about. Tell them why you enjoy doing the show and then ask them if they enjoy similar topics. Let the conversation flow for some time before getting into a business to business pitch. After you’ve learned what they do for a living and how they are personally invested in it, you’ll be able to tailor your pitch around how your show’s audience fits their business. Speaking of knowing how your show’s audience will fit a business’ need for reach, you should keep a running list of individuals and companies that directly relate to your audience. You don’t have to go simply off the top of your head, you can survey your listeners to find out exactly what they would like to hear about. Take advantage of that email list and opportunity to tailor your station or show to them. They will happily offer feedback to a show they are invested in. Advertising over an internet broadcast is one of the most effective and affordable well-kept secrets in advertising. Its cost has not risen nearly as much as other major platforms because people have not yet caught onto this, so stations still have quite the demand for new advertisers. At an affordable rate, you can target an audience that is exactly in your niche- whether it’s locals, people who enjoy certain topics, or some other demographic. Another selling point is how much of your listener’s attention you have. With visual advertising, you only have a 2D platform that usually competes with many others; whether billboards, newspaper ads, or magazine spots. In broadcasting or properly termed “webcasting”, your listener’s only two ears are strictly engaged on your advertisement that can use sound and language to evoke any emotion or sense of urgency you want it to. If you’ve taken these suggestions, you’ve probably got your listener hooked! If you’re in radio, you probably already have a little talent for that. What next? You should have your packages and pricing clearly outlined so that your hot lead can quickly come to an educated decision and write the check. The less time between making your pitch and having the pricing material, the better. For the consumer or business person who likes to make the most educated decision possible before investing money into advertising, you will want to have a demo or episode sample of your show uploaded to YouTube. Keep the URL on your phone as a memo so you can quickly and easily text the link to your new prospect! Tell them to “have a listen and let me know what you think!”, send them the YouTube video and your name in a text, and they’ll also have your phone number!